I flew to NYC for a presentation Monday evening by Ian Shapiro, co-author of Green Building Illustrated, which was recently published by Wiley. Sponsored by the Urban Green Council, the New York chapter of the U.S. Green Building Council, the author talk was held in the beautiful Trespa Design Centre in SOHO. Driving across the Manhattan Bridge from JFK with Ian that Monday morning, I confronted this distant view of the new WTC. Fortunately, I had some time to go back and capture that urban scene at the corner of Bowery and Canal Street. 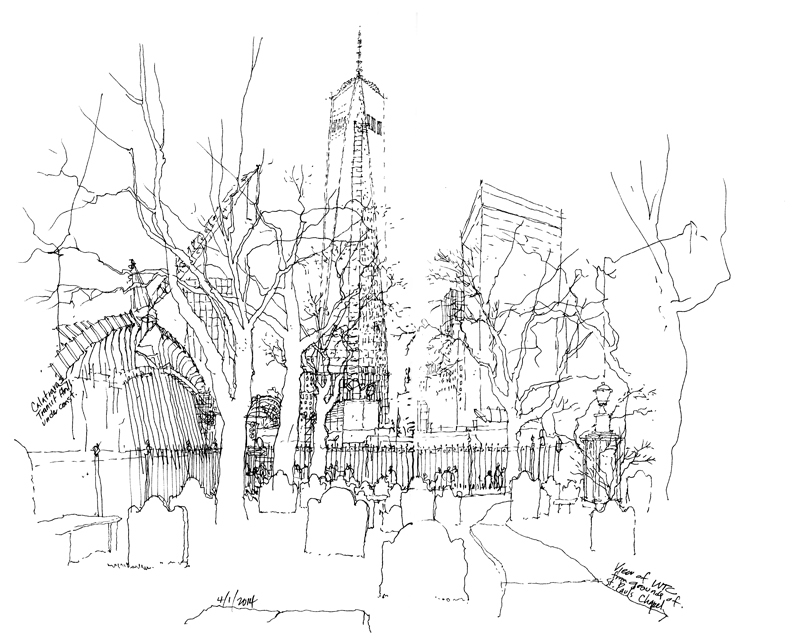 After meetings at Wiley the following day, I had some free time to walk around the WTC site, where I found this view of the WTC from the grounds of St. Paul’s Chapel. 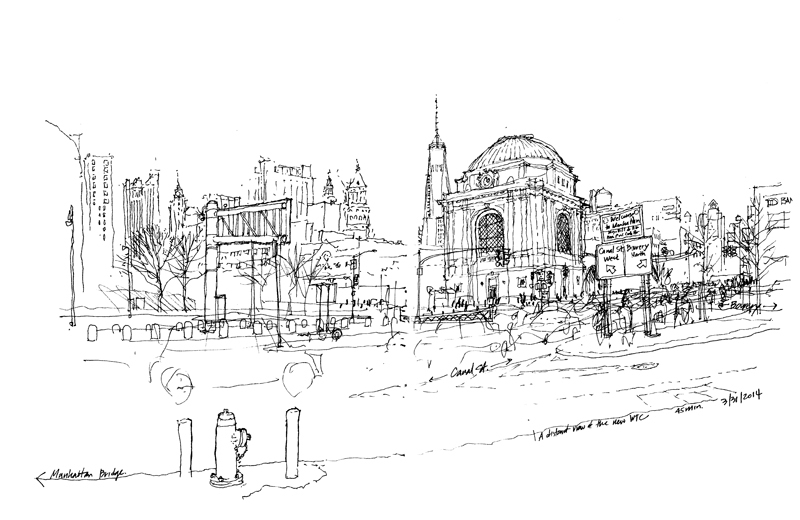 This entry was posted in Drawing, Travel, Urban Sketchers by FC_admin. Bookmark the permalink.